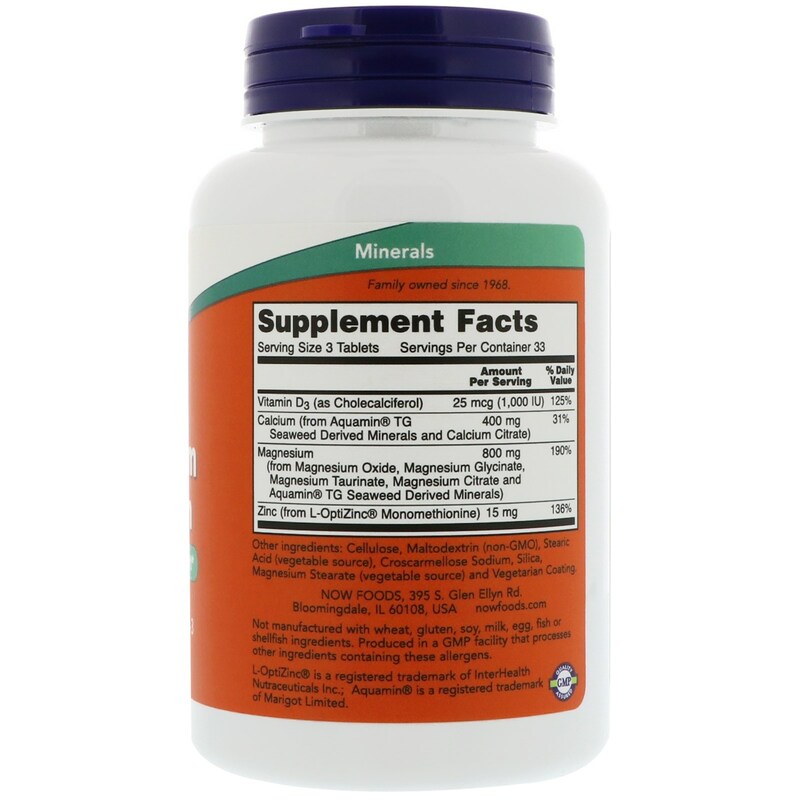 This reverse ratio formula is formulated to provide higher levels of Magnesium for those who desire the never, muscle and bone supporting effects of this essential mineral. 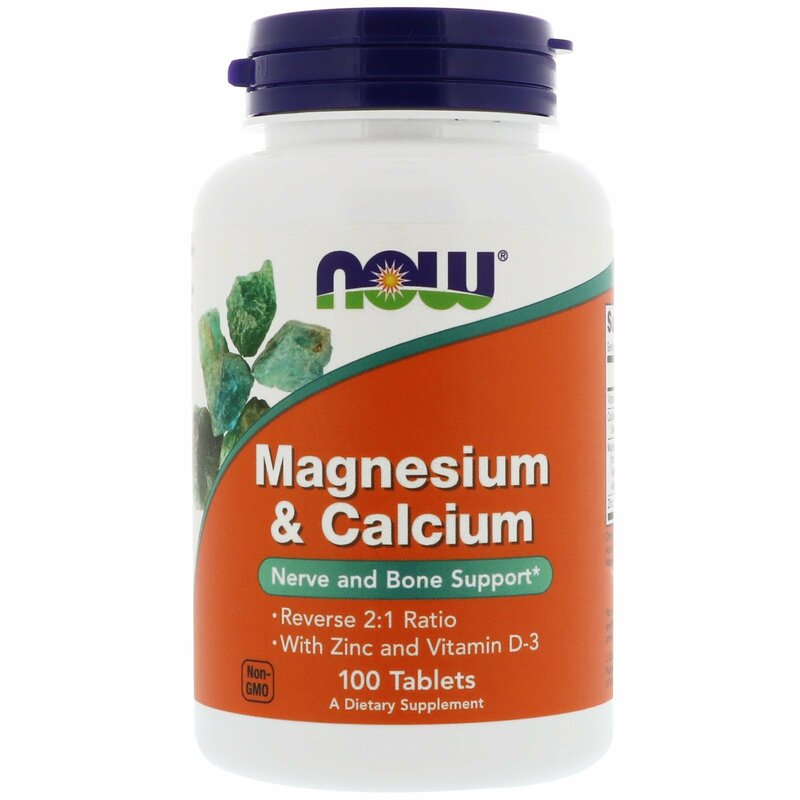 Zinc and Vitamin D-3 are included in this product for their roles in bone metabolism. 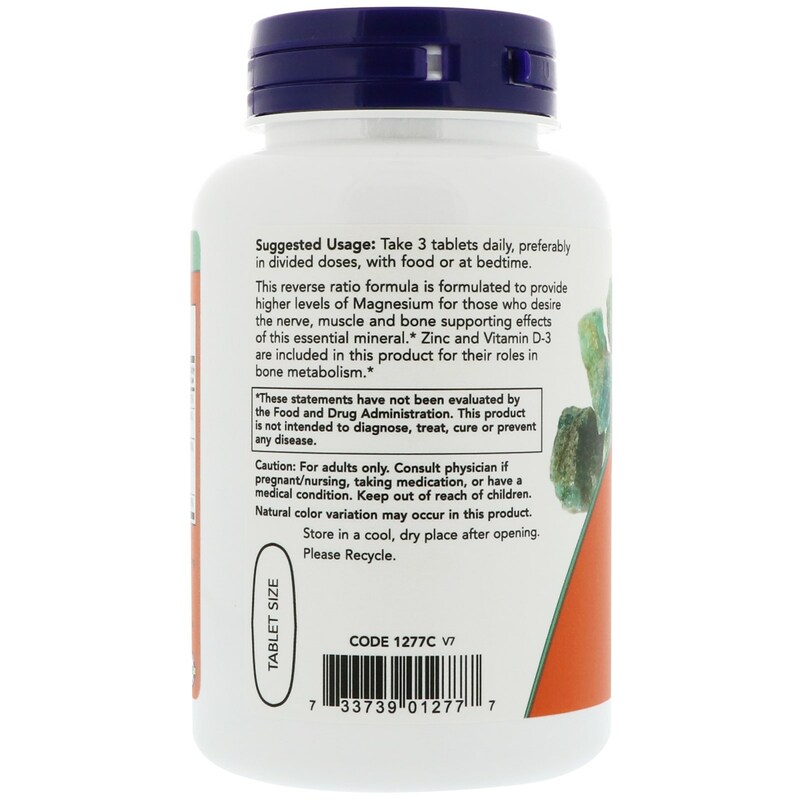 Take 3 tablets daily, preferably in divided doses, with food or at bedtime. Cellulose, maltodextrin (non-gmo), stearic acid (vegetable source), croscarmellose sodium, silica, magnesium stearate (vegetable source) and vegetarian coating.